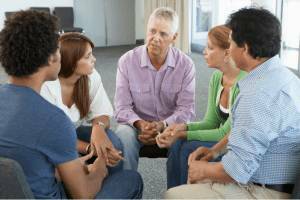 Friends and family therapy is often seen as an important area of intervention for maintaining change. Relationship difficulties can be a contributing factor in substance use, but substance use may also contribute to the deterioration of relationships. Family and friends can play critical roles in motivating individuals with drug problems from entering rehab to staying in rehab treatment. It’s normal to feel panicked, anxious or overwrought when you’re facing the reality of a person you love who is addicted. How do you challenge someone who seems to be intent on destructive behaviour? What do you say to a partner, parent, or child you no longer recognise? Try hard to create a stable, sober home environment. Attend therapy sessions yourself to learn how to cope and set boundaries. Have a look at our pages on signs and symptoms of substance use read about the signs and symptoms of substance use. Observe the person’s behaviour closely over a period of days or weeks to understand what leads you to think there is a problem. Take observations of behaviour and share with other family members and friends to determine how they see the situation. Contact a substance use professional, Describe your family member’s substance use pattern to see whether the professional would deem it a problem. Provide details such as the alcohol or drug in question, how much the person is using, how often they are using, give them a typical example of how long the abuse has prolonged, negative repercussions, and the person’s response to discussions or challenges about substance use. If you feel a friend or loved has an addiction problem you can contact us for advice at any time. Our trained counsellors will be able to help you recognise and understand the nature of his or her substance use problem and promote strategies of how you could cope.